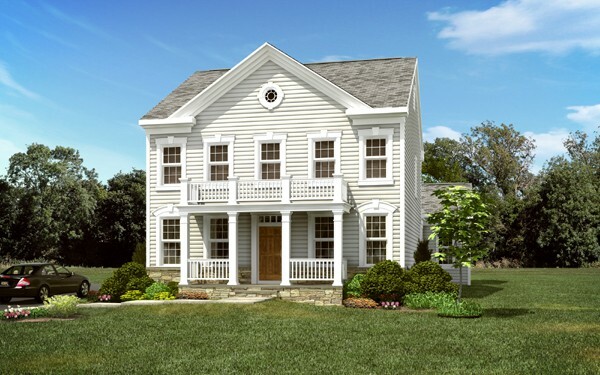 Crisp, balanced design sets the Gable apart with a plan that suits both entertaining and relaxing. 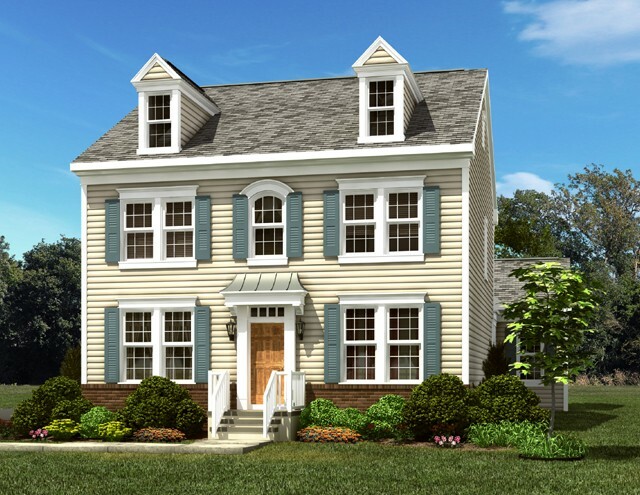 A traditional center hall opens to formal living and dining rooms and leads into a large, airy, family room. A generous country kitchen boasts an expanded, wrap-around island and a sunny breakfast room. 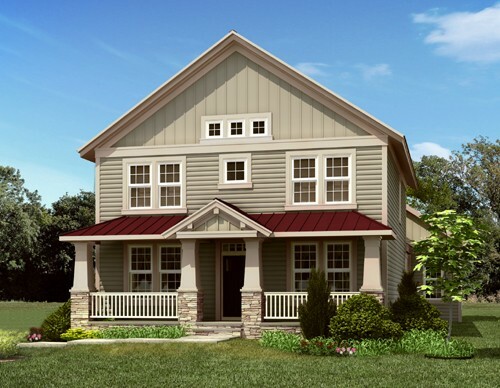 In addition to its four comfortable bedrooms, the 2,200 square-foot Gable offers the convenience of a separate second-floor laundry room.